The JM Internet Group (https://www.jm-seo.org), a leader in AdWords training online, is proud to announce a promotional price for their AdWords book for small business, ‘AdWords Gotchas.’ For the month of May, 2015, the book will have a promotional price of 99 cents on Amazon.com.AdWords, of course, is Google’s pay-per-click advertising program. The JM Internet Group, under the direction of Jason McDonald, offers both training and consulting in the correct use of Google AdWords. 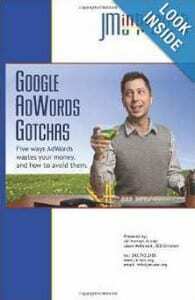 The ‘AdWords Gotchas’ book was first published in April, 2014, yet remains timely even today. To learn more about the book, one can visit the book page on Amazon directly at http://www.amazon.com/exec/obidos/ASIN/1497539064/jmgrp-20/. Alternatively one can visit the AdWords gotchas page on the JM Internet Group website at https://www.jm-seo.org/books/adwords-gotchas/. There, in addition, to information about the book, one can learn about online AdWords training as provided by the company. Incorrect use of keyword match types. Most users of AdWords do not understand the various match types that trigger ads. These range from broad match to modified broad match to phrase match to exact match. In many cases, advertisers run on the broad match type without truly understanding its implications. Incorrect use of the Google Display Network or GDN. The GDN has many wonderful opportunities on it, but it also has many terrible sites and terrible placements that do little more than consume budget. Incorrect use of enhanced campaigns. Google has encouraged every advertiser to “go mobile,” yet in many cases “going mobile” is a big mistake. Unfortunately, many advertisers do not know how to turn off mobile advertising. 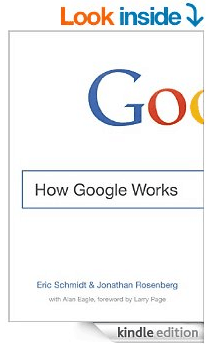 The book explains these gotchas in great detail, and has links to important videos on YouTube that further explain AdWords. The YouTube videos can be browsed online at no charge at the company’s YouTube channel at http://www.youtube.com/jmgrp. 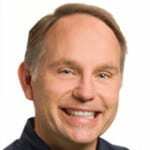 This entry was posted in Press Releases and tagged AdWords, Small Business on April 28, 2015 by Jason McDonald.